Sorry it has been awhile since my last post...new mommy life and my little Marin are taking up quite a bit of my time, but I wouldn't have it any other way. We are living in the newborn bubble and finding our new normal one day at at time. 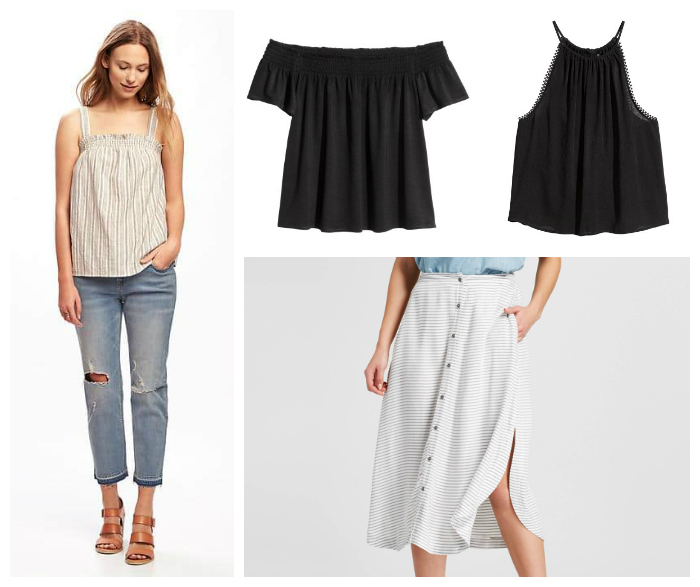 Now that summer is upon us and I am no longer confined to maternity clothes, I've wanted to revamp my wardrobe a bit. 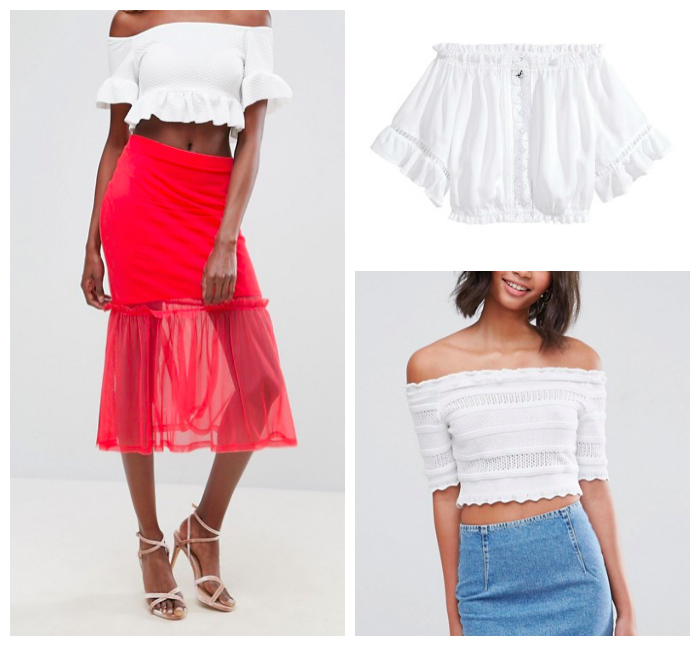 I thought I would share some pieces that I've ordered recently (because who has time to actually go to stores and shop? lol). Still waiting on most of them to be delivered, but I'm hopeful they fit and excited to start mixing and matching to create some fun new outfits for these warmer months! I ordered the gorgeous coral skirt above from ASOS after seeing it on one of my favorite new YouTubers - Katie La Vie. It was super affordable at $35.00 and I want to pair it with a cute white crop top. I was hoping to get this one from ASOS, but it is currently sold out. I'll keep my eye out for a restock, but in the mean time, I ordered this one from H&M to see if it works. During a quick trip into Old Navy the other day for baby clothes, I spotted this smocked swing tank and it just happened to be 30% off. 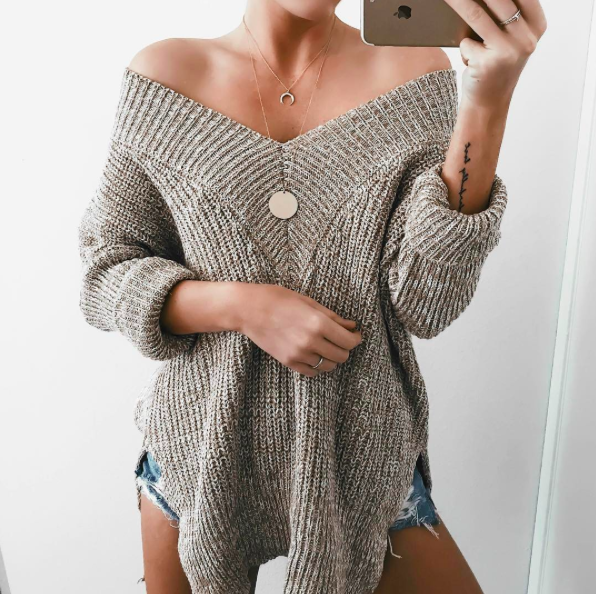 I think it will look super cute paired with some boyfriend jeans and wedges! While on another baby-related errand, I saw this button front midi skirt at Target and scooped it up. I also ordered a couple tops from H&M to hopefully pair with it. One off the shoulder and one tank top - both in black. Hopefully at least one will look cute with the skirt!